We Bought Our First RV! 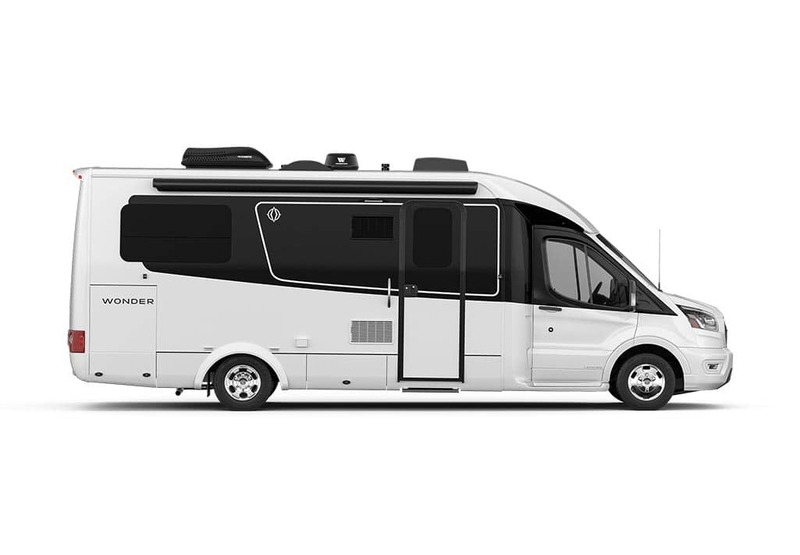 We started researching the many different types of RVs in 2015. We first began learning the lingo, Class A, Class B, Class C and what the difference was between them. It took a while to understand the difference between a Class B and Class C. Class A was easy – it’s a great big honkin’ bus! Of course, the B and C came down to how they are made. The Class B is basically a converted van and Class C is a separate house built onto a bare chassis. After one year of tedious research on YouTube, we had narrowed our search down to Road Trek and Pleasure-Way. It was time to start going to RV shows to finally do some touching and viewing up close and personal. Our first RV show was in Tucson, Arizona at the Pima County Fairgrounds. We told the eager salesman we wanted to see the Class B motorhomes, so he led us through a minefield of Class A and C RVs to a huge warehouse, but just before we walked through the double doors a very beautiful RV to our left caught our eye. We looked over at it and started to ask the salesman about this amazing motorhome when he quickly whisked us through the doors and into a maze of Road Trek and Pleasure-Way vehicles. We went through each one slowly and methodically, but nothing really appealed to us. They were either too short, too skinny, too cramped or not planned out very well. The one thing I disliked the most was the wet bath! I had no desire to take a shower while sitting on the toilet. On the side of the RV was one word, “Unity” that was it, just “Unity.” There weren’t any spotty dogs, no fancy names like Tornado or Four Winds, or Switch Blade, no swirly do-dads on the side, just “Unity.” Who makes this beauty? We had never heard of Unity, on the door of the cab was another word, “Leisure.” We lost track of the salesman at that point, we just wanted to walk inside this beautiful home on wheels and see what it had to offer. The moment we walked into the coach we were wowed! The quality workmanship and attention to detail were amazing! And no wet bath – a full separate shower! I was sold on the Unity! However, MaryAnn was still very cautious about spending all that money on something we had never done before. This particular model was called an Island Bed. At that point, every salesman within fifty yards of us tried to get us to buy it, but we weren’t ready for that, we needed to do our homework first. We had never even camped in an RV let alone drove one so we weren’t about to buy one either, but we went home with “Unity” on our minds. It would be another year of research before we were ready to go to another RV show. In January 2017 we flew to San Francisco to another big RV show in Pleasanton, CA. There we met our hero, Dean! We must have watched hundreds of YouTube videos with Dean walking us through each motorhome, showing us the storage, climbing up on the roof, etc. – even climbing inside some of the storage bins! 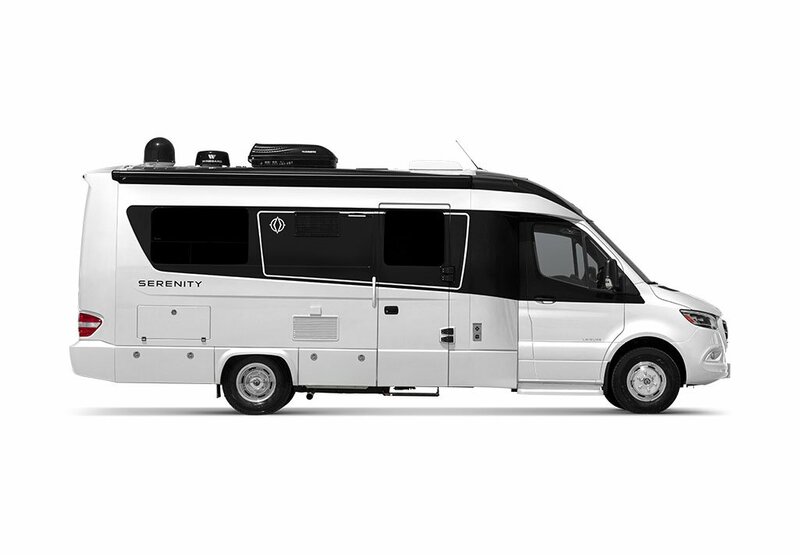 At the RV show, Dean showed us all the various models of the Unity, Serenity, and Wonder. We almost bought a Unity MB but weren’t completely sure about it just yet. We left that show more convinced than ever that Leisure Travel Vans were the best quality made motorhome on the market! 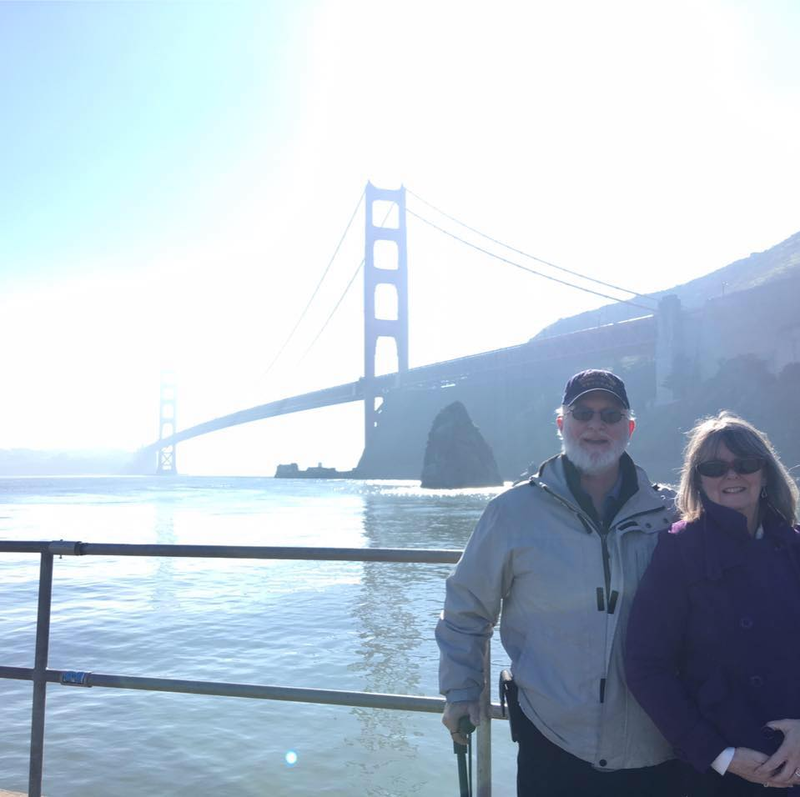 After the RV show in Pleasanton, California we visited San Francisco. January 2017. When we got home we had decided what we wanted was the Unity FX. We needed an extra living space since we didn’t go to bed at the same time. That way the person still up or getting up earlier than the other had a place to hang out while the other was still sleeping. Our next step before buying a motorhome of our own was to rent one and take it camping. Since it was next to impossible to find a Leisure Travel Van for rent, our first rental was a 2007 31 foot Class C (the brand I won’t mention) from an online rental company. It was 110 degrees Fahrenheit outside when the air conditioner stop working. We took it back to the owner and got our money back. We then rented another Class C by another large brand from a popular RV rental company. We arrived at our campsite late, around 9 pm. I hooked up the electric and water lines and went back into the RV. About twenty minutes later there was a knock on our door. It was the camp host. He said there was a lot of water leaking under the RV. Come to find out not only had the fresh water tank been leaking outside, but it had also leaked into the black water tank and filled it to overflowing from the toilet all over the floor of the bathroom! On top of that the next day it was now 118 degrees Fahrenheit, the generator wouldn’t work, the refrigerator stopped working, the air conditioner kept blowing a fuse, and the rental company kept giving us the run-around and even tried to say it was all our fault. When our rental contract ended, we took the RV back and demanded a refund. The rental company gave us half our money back. Next, we rented a third Class C motorhome, only 6 months old. MaryAnn tried to open one of the windows and it fell off in her hand. The shower door was missing, the microwave shimmied itself back inside the cabinet while we were driving so that we could barely reach it. This was a 32 foot RV that was so poorly planned out that we couldn’t use the kitchen unless the slide was out. 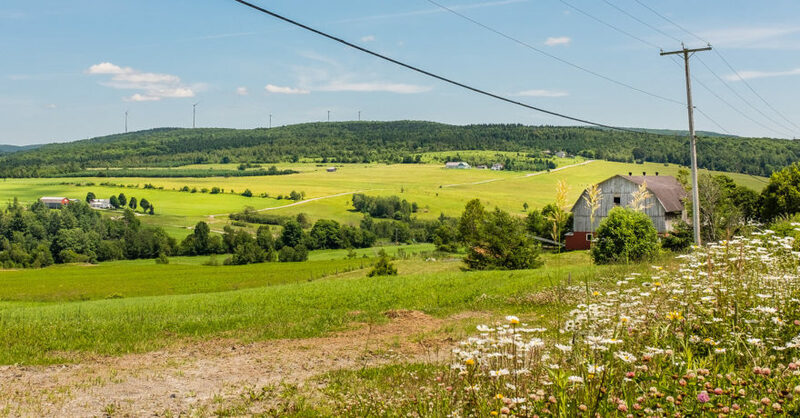 It didn’t have house batteries, an inverter, or a generator, so the only way the appliances could be used is when it was plugged into AC electric power. We also discovered we didn’t like the gas engines in these RVs. The engines are so huge and loud that we couldn’t have a conversation inside the cab while driving, and of course getting 4-8 miles to the gallon was a real downer! 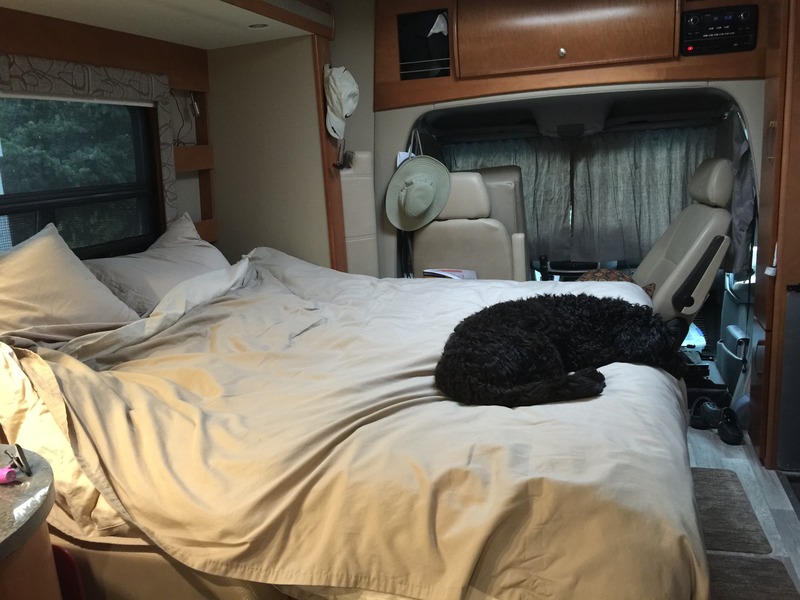 All of these wild and challenging experiences didn’t discourage us from buying an RV. It only convinced us that a Leisure Travel Van was the right choice for us. 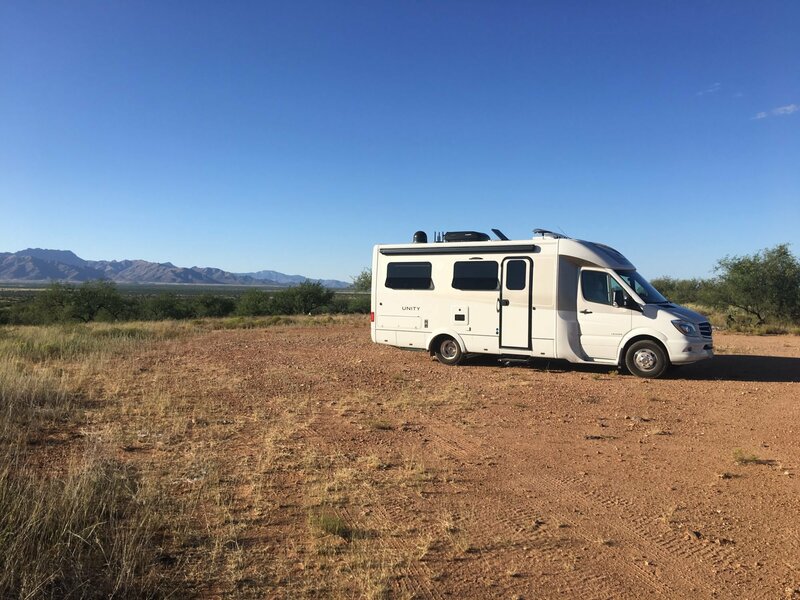 After we dropped off the last rental, we drove to an RV dealer in Phoenix that had a brand new Serenity on the lot, that we could test drive. We knew it had the same Mercedes-Benz Sprinter chassis as the Unity so it would help us in our quest to one day buy our own RV. After climbing out of the huge gas engine Class C’s we had been renting and easily getting into the Leisure Travel Van, the difference was like night and day! This was a superior vehicle. The ease in handling and the powerful engine were amazing! We decided to call a dealership in Tucson about the possibility of ordering the Unity Island Bed. In the course of our phone call, we found out that they had a Unity FX on order, which was due to be shipped in about six weeks! We made the deal and took delivery of our first RV, a 2018 Unity FX! We couldn’t be happier with our choice! 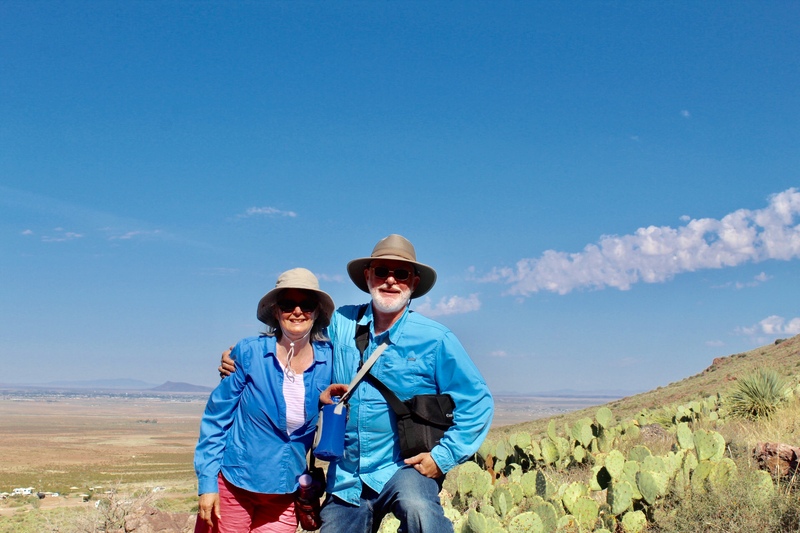 Our first trip in our brand new Unity FX was to the Buenos Aires National Preserve in southern Arizona. We dry camped for three days. September 2017. In our first ten months of ownership, we drove over 21,832 miles, visited 19 states including Alaska, and even made it to British Columbia and the Yukon Territory. But by the end of our first year of ownership we had driven our Unity FX over 26,700 miles, visiting 26 states including Alaska, also British Columbia, the Yukon Territory, and Manitoba, Canada and back! We love our Unity! The only issue we have had since taking delivery in September 2017 was the replacement of one of our solar panels. We aren’t golfers, we aren’t bikers, we aren’t fishermen or hikers–we’re explorers. 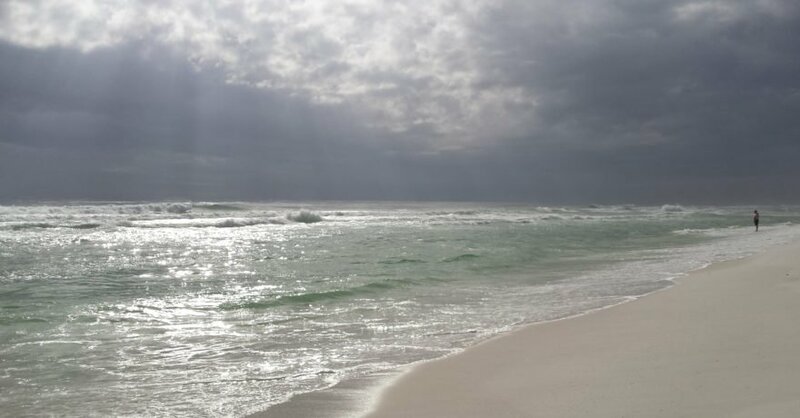 We just want to see as much as we can for as long as we can until our time on this earth is over. Ely, Nevada on our way to Alaska. May 2018. I am a retired US Air Force, Service Connected Disabled Veteran, and retired pastor. MaryAnn is a retired Special Ed Teacher. Our NEXT CHAPTER - the Open Road! We are first time RV owners. After two years of research, we chose the 2018 Unity FX Leisure Travel Van as our first and only choice. We took delivery of our Unity FX on September 2, 2017, and in ten months we have already driven our Unity 21,832 miles, visited nineteen states, British Columbia and Yukon Territory. We became part of the Leisure Explorers Team upon our return from the Alaska caravan.